This miniature plane is designed for modelmakers and violin makers, and is just plain adorable! 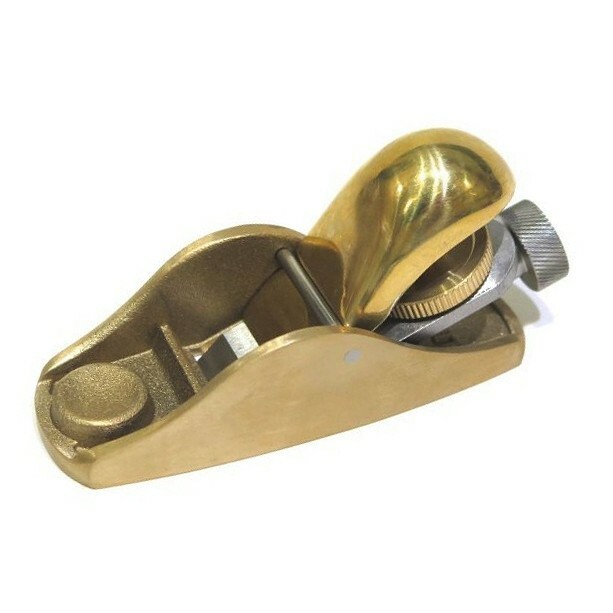 The original Stanley 101 was intended for children, but this small plane became so popular with many serious craftsmen that Stanley had to change their advertising. 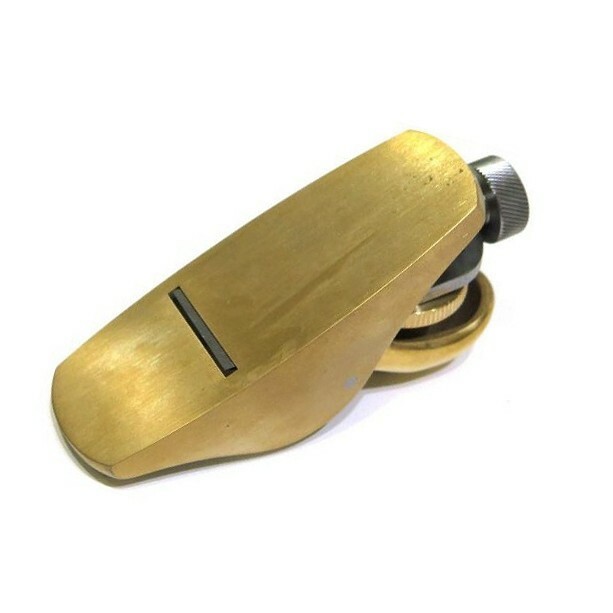 It is among the favorite plane for small scale precision workpieces where a larger plane would be difficult to use or would struggle to access at some points. The sole measures 82 mm in length of 32 mm in width and features a 22 mm flat blade made of carbon steel RC62-63. This low angle plane will be valuable when working end grain, and the required depth of cut is easily adjusted from deep cuts to translucent shavings. Produced by a single bronze casting, the body of the plane has an excellent flat sole. This 101 has some important differences to the original: cast in bronze, so it can't rust, with a full cap and a lower bedding angle than the original for improved comfort and versatility, and it also has a straightforward adjuster, absent on the original. This is the perfect tool for anyone who produces small scale fine tolerance work. The hole for the blade tension wheel was drilled crooked. It's off 90 degrees so the wheel wobbles as it tightens moving the blade off the desired setting. Unfortunately, the hole in the palm - rest for the blade tensioner wheel on mine was drilled about 10 degrees off 90. This otherwise fine plane still works, but the wheel almost rubs the blade and it looks terrible. It also creates a small wobble as it tightens which has the potential to move the blade off the desired setting. The item arrived as expected, very well packed and in good condition!